Where do you hope to be one year from today? Where Do You Want Your Family to Be in One Year? Where Do You Want Your Agency to Be in One Year? Where do you hope to be in your life in one year? Where do you hope to be professionally in one year? 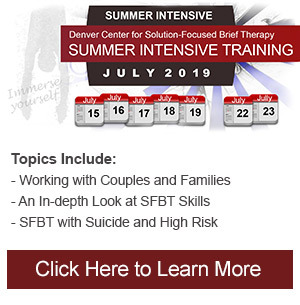 Denver Center for Solution-Focused Brief Therapy Provides the highest quality Solution-Focused Brief Therapy for clients in need of therapy and is a comprehensive Solution-Focused training center offering both in-house and on-site trainings for clinicians and other professionals who want to improve their effectiveness with the people with whom they work by learning principles of Solution-Focused Brief Therapy (SFBT) as it was originally developed by Insoo Kim Berg and Steve de Shazer. What is Solution-Focused Brief Therapy (SFBT)? Solution Focused Brief Therapy, often referred to as simply “Solution-Focused Therapy,” is a type of talk therapy that focuses on what clients want to achieve through therapy rather than on analyzing the problem(s) that brought them to treatment. While the Solution-Focused Brief Therapy approach respects each client's past and what brought the client to this point, it places the focus on what the client wants. SFBT therapists help their clients to construct a concrete vision of a preferred future for themselves. In working toward this future, the problems and the past become more manageable. This approach postulates that no problem happens all the time. There are always times, even though they may be very brief, when the problem is absent or just a little better. The Solution-Focused Brief Therapy therapist believes that these moments hold valuable answers and examines what is different on these occasions. By bringing these small successes to clients' awareness, and helping clients to repeat these successful things they do when the problem is not there or less severe, the therapist helps the clients move toward the preferred future they have identified. We help agencies looking for a cost effective approach to help staff become purposeful and effective with even the most difficult clientele. We specialize in helping publicly funded agencies that treat clients who are struggling with chronic, co-occurring disorders. We help agency administrators and clinical supervisors train their therapists and case managers and transition their agency from using problem-focused approaches into an agency fully incorporating the evidenced-based, Solution-Focused Brief Therapy model. We then teach administrators how to maintain these changes by managing their staff more effectively and building a positive agency culture by using the same Solution-Focused Brief Therapy tenets and philosophy. Lastly, we help agencies learn to make paperwork and documentation more purposeful to ensure they get credit for the excellent work their staff are doing. Solution-focused practice is more than a treatment model. . . it is a revolutionary way of thinking, communicating, and interacting. Because this model is non-pathology based, is respectful, and based in genuine curiosity, it is appropriate to use throughout the professional environment. 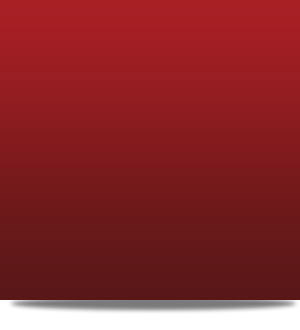 In doing so, the results we have seen through our agency consulting services are amazing. Staff members who were initially skeptical and resentful at the idea of change became energized and curious to learn more. We have seen decreased staff turnover because therapists were able to see changes in clients who previously seemed hopeless. Teamwork has been enhanced, and paperwork and documentation hold new meaning. 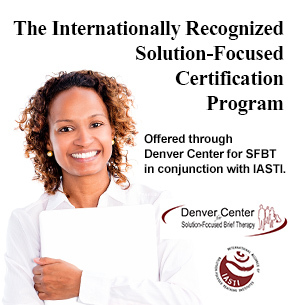 As an added benefit, we can provide all the training required for full SFBT certification at your agency! Even the testing can be done on-site. E-mail us for more information about this economical option. Solution-Focused Brief Therapy will help clients who want immediate and lasting results even for the most difficult and chronic problems. Each of us has within the ability to formulate and implement our own solutions resulting in observable, measurable results, even after only one therapy session. Sometimes it takes a professional to ask just the right questions to uncover these hidden answers and solutions and to get back on track. Drawing from the simple idea and universal truth that what we as human beings focus on gets bigger, our Solution-Focused Brief Therapy sessions teach people a new way to think and how to imagine themselves in the future the way they want to be. We then offer concrete skills to help them make that dream a reality. Sometimes people don't even know where they want to be, and we can help with that too. Think of us as a travel agency of sort. We're here to help you figure out your perfect destination to happiness, and then how to get there. So ask yourself where you want to be one week, one month, or one year from now. If your answer is anything but where you are now, give us a call and we'll help you begin to make changes. This group, held in our Littleton, Colorado location, is designed for professionals who have already completed a basic education class on Solution-Focused Brief Therapy. This group provides a supportive environment for on-going learning and for exploring how to apply SFBT with challenging client cases. Call or e-mail to join this group. This ongoing group is held via the Internet and is designed for professionals who have already completed a basic education class on Solution-Focused Brief Therapy. This group provides a supportive environment for on-going learning and for exploring how to apply SFBT with challenging client cases. Call or e-mail to join this group.